Dr. John J. Khadem is a board certified ophthalmologist, who specializes in diseases and surgery of the retina and vitreous. After completing his bachelor’s degree at Duke University, he received his medical degree from Columbia University, College of Physicians and Surgeons, in New York City. After an internship in surgery, and subsequent residency in ophthalmology at The University of Chicago Hospitals, he received surgical and clinical training in fellowships at Harvard Medical School and the Massachusetts Eye and Ear Infirmary. Upon completion of his training, he was invited to teach and held both teaching and research appointments at Harvard Medical School. He began his own practice in 2002, where he is continuing to treat patients suffering from a variety of retinal conditions. 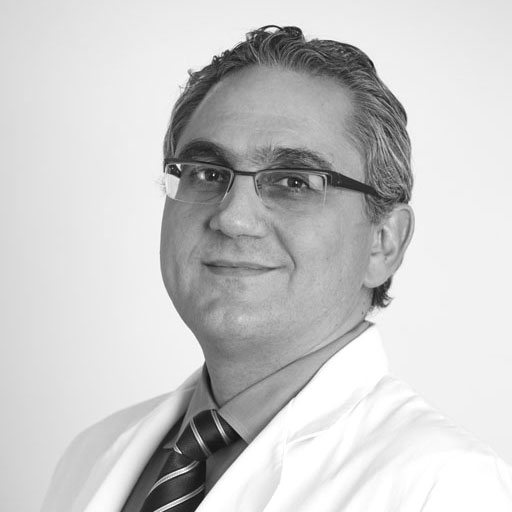 Currently an Assistant Clinical Professor of Ophthalmology at New York University, Dr. Khadem is a member of the American Academy of Ophthalmology, Association for Research in Vision and Ophthalmology, and the American Society of Retina Specialists. He has authored numerous peer-reviewed research articles and has been involved in a wide array of research, the most recent of which discusses stem cell implantation for the treatment of macular degeneration. Dr. Khadem holds patents with the University of Chicago and Harvard University on biological tissue adhesives. Dr. Khadem firmly believes in the healing power of an empathic, caring relationship with his patients. Every member of Retina Specialists is asked to follow this idealogy that their interaction with the patient can help to accelerate healing. Dr. Khadem is affiliated with New York University, New York Eye and Ear, North Shore University, Long Island Jewish, and Bellevue Hospitals in New York.